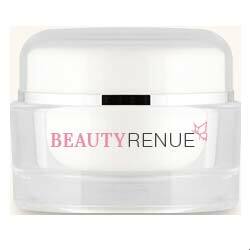 Beauty Renue Review: Is this Anti-Wrinkle Cream Really Effective? Beauty Renue as a brand name aptly captures what aging skin needs beyond 30 years of age: renewal. Whereas younger skin is capable of turning over cells efficiently, aging skin takes longer to repair damages on the skin matrix and to surface newer, younger skin that replaces old, damaged skin cells. By boosting collagen levels, Beauty Renue jumpstarts the skin’s natural renewal and rejuvenation process as it also wakes up sluggish skin cells to facilitate repair and regeneration. The skin then becomes plumper and more supple to the touch. Although there is no specific mention of any ingredients included in Beauty Renue’s formulation, it can be deduced from the product and affiliate websites that this product is infused with antioxidants. These components are important in keeping skin cell healthy, protected and damage free. Antioxidants neutralize cell damaging free radicals that deliberately destroy cells and causes the body, including the skin, to age. It may also be deduced that since this product has been described as being capable of ridding skin of damaged surface layer along with excess oils, dead skin cells and impurities, it should also be formulated with a mild exfoliant, perhaps an alpha hydroxy acid. AHA gently lift foreign bodies from the skin surface and then washes these off. There is no mention anywhere of this product’s manufacturer nor any of its contact details. This product is an exclusive online offer that is available for a 14-day free trial offer arrangement. Initial charge will be for shipping and handling fees for your trial bottle only. In the event that you fail to send back any remaining product before the end of day 14, the company will charge you US$ 96 or the full actual price of the product. Expect to be charged again in 30 days and the month after that and until you cancel your subscription. What Are The Ingredients In Beauty Renue? There is no listing of ingredients for this product. Use product only on mature skin beyond 30 years old. In case the guesses we made about the product’s ingredients are correct then, there is possibility that this product may be moderately effective. However, as to whether or not it can be expected to perform better than your average moisturizer, there is not enough information to make a comparison and an informed evaluation. Manufacturer information is not disclosed and accountability for transactions is not established. 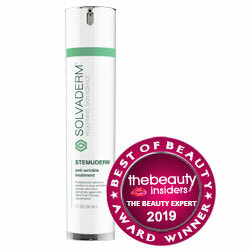 Anti-aging products come at a steep price. One of the reasons why they do is because there has to be a science backing their formulation and their claims. If this science cannot be detailed not explained, it’s only but right to mark this as a red flag. One of the best ways you can find out if a product does stands out is to compare it with similar products before you click that button to order.